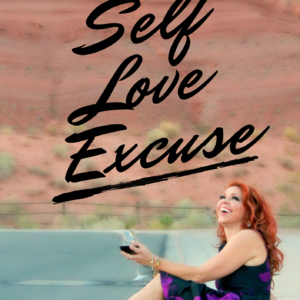 For many years now the excuse we claim for not having the life we want, the confidence we desire or the deep meaningful relationships we crave, is that we don’t have enough SELF-LOVE. We walk ourselves down a self-improvement path which has no end and no mile markers among the struggles of narcissism and perfection. We continue trying to arrive at the point of the elusive self love, only to discover there isn’t one. As we continue to act without a measurement of progress, frustrations can ensue and we often feel ourselves drift away from feeling self-love and the absence of self doubt. While self-love seems to come so easily to others, but always slipping through our own grasp, we can learn acceptance of what is and let go of comparisons, as most often they are incorrect assumptions. Through this book, you will find a new awareness of a journey that leads off the common path of pouring more love into a self that is already loved and onto a path of self awareness and acceptance. It is time we allow ourselves to let go of the excuses that only fuel impossible expectations and enjoy our own lives. Our weaknesses can easily be our best strengths and most endearing qualities if we will simply allow them to be so.